4. 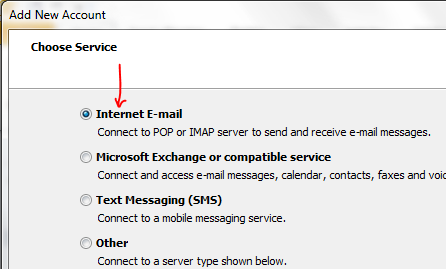 The “Internet E-mail Settings” window should now appear. 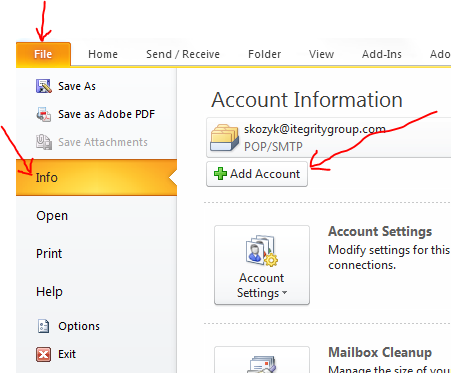 Enter your information as shown in following example making sure you select IMAP as your Account Type and use your entire email address as your user name. The incoming and outgoing servers should both be the same, mail.mydomain.com, where mydomian.com is your domain name, for example mail.itegritygroup.com. 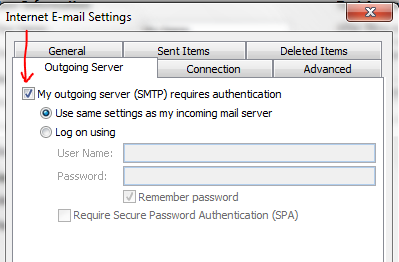 “Require logon using Secure Password Authentication (SPA)”, should NOT be checked. 7. Select the “Advanced” tab. You shouldn’t have to make changes to this page, but it’s a good idea to double check the settings. 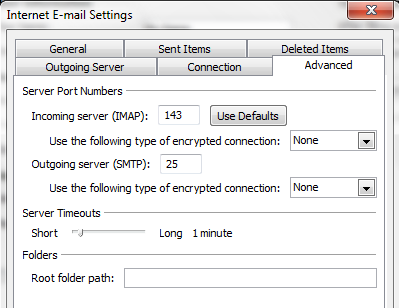 For IMAP, the “Incoming server (IMAP)” should be set to 143 and “Outgoing server (SMTP)” to 25. 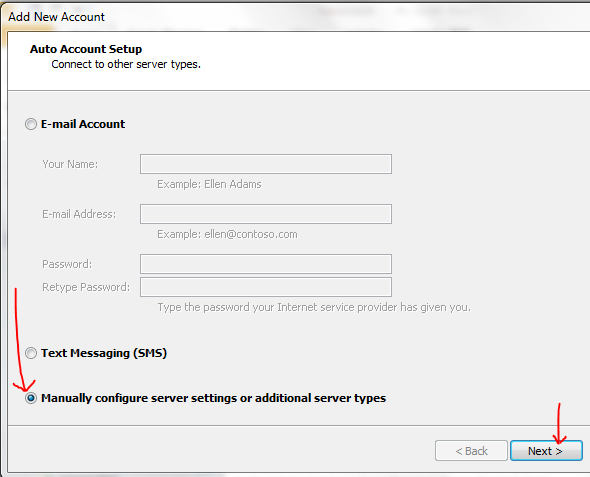 Nice tutorial on setting up outlook. 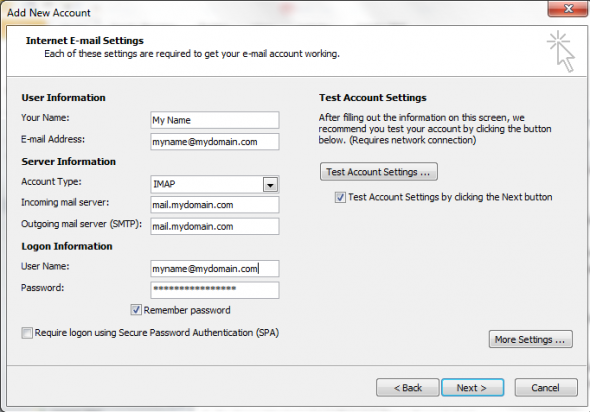 If you don’t want to stick to outlook then you can also access webmail from DreamHost to access your emails. 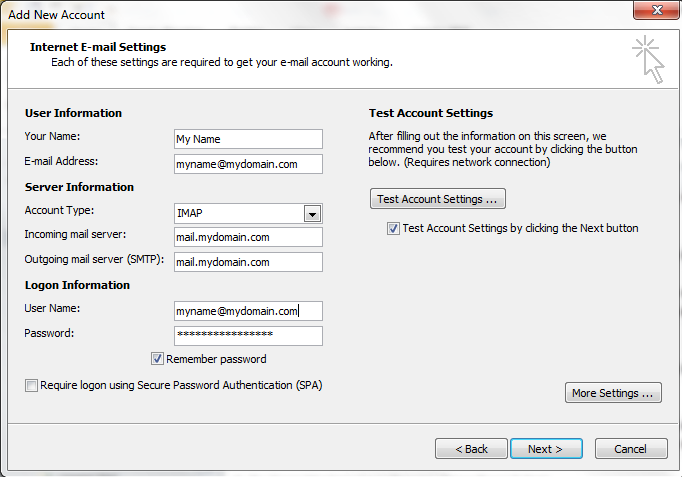 DreamHost currently offers squirrelmail facility using which you can access emails from any web browser. Hi, what do I have to do (if anything) on the dreamhost side of things, where my domain is parked?